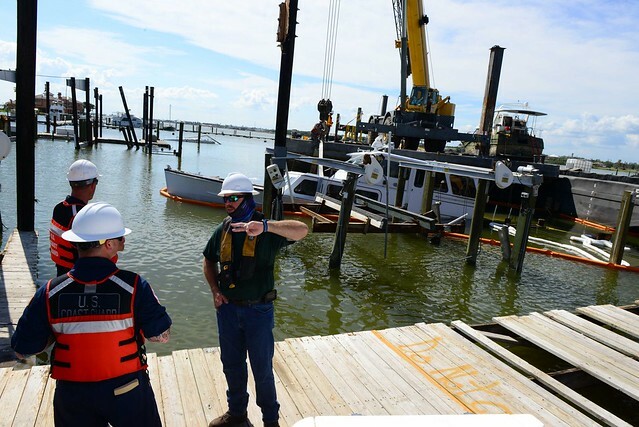 Frank McDaniel, an Advanced Response Officer with the Texas General Land Office, discusses additional vessels targeted for removal with Coast Guard Petty Officer 1st Class Anthony Bemis, a Damage Control Specialist with the Gulf Strike Team, on Oct. 15, 2017, in the community Key Allegro in Rockport, Texas. U.S. Coast Guard photo by Petty Officer 3rd Class Valerie Higdon. 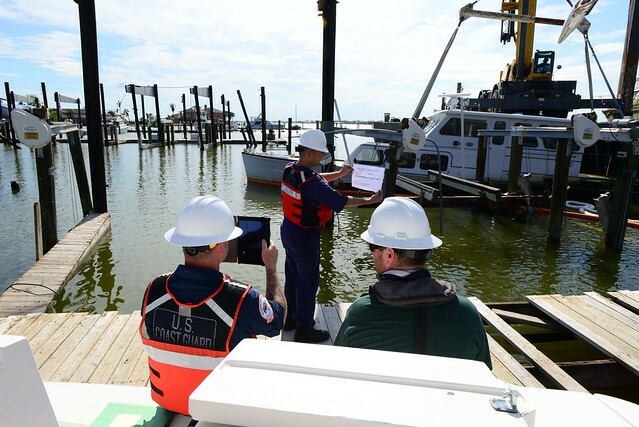 Frank McDaniel, an Advanced Response Officer with the Texas General Land Office oversees Coast Guard Petty Officer 1st Class Anthony Bemis as he takes a photo of Petty Officer 1st Class Kevin Schneider, Marine Science Technician, holding an identifier to record the completion of work on a sunken vessel on Oct. 15, 2017, in the community Key Allegro in Rockport, Texas. U.S. Coast Guard photo by Petty Officer 3rd Class Valerie Higdon. 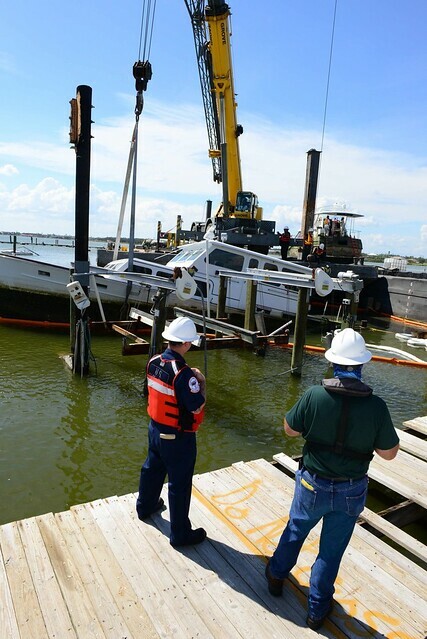 The Coast Guard and Texas General Land Office refloated the 75-foot fishing vessel Dragon’s Den that was sunk as a result of Hurricane Harvey in Conn Brown Harbor, Aransas Pass, Texas, on Saturday, Oct. 14, 2017.